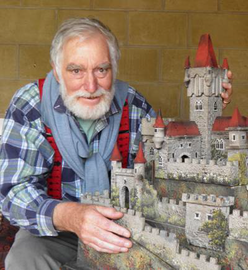 David Allen Hickling (born May 29, 1934), known as Allen Hickling, is a retired Architect, author, game designer, and an authority in the field of toy forts and castles. Allen has spent 30 years researching the subject. Over this time he amassed one of the largest collections in the world - half of which now resides in a museum in Cyprus. He has written numerous articles in journals such as Toy Soldier Parade, Old Toy Soldier, and Plastic Warrior. Hickling has written one of the only reference book on the subject; Toy Forts and Castles: European-Made Toys of the 19th and 20th Centuries. He is a member of the hobbyDB Advisory Board.